With only a 7 minute journey from the car park to the terminal at Dublin Airport, you'd be crazy not to choose this as your parking option. The car park is undercover so not only is it protected from the elements but also fully secure. There are 7ft metal shutters which make the car park accessible for customers only, CCTV and regular patrols by security staff. It really is great value-for-money. When you book with Holiday Extras you can save up to 70%. The hotel for your car - your car is treated in the Metro Hotel underground car park how you would be treated in the hotel; like a welcomed guest looking for a comfortable stay. The car park is located on-site at Ireland's biggest national airport with a distance of just 7 minutes by bus, making it the perfect location for travellers who want fast access to Dublin airport without the hefty cost and pot-holed surfaces. 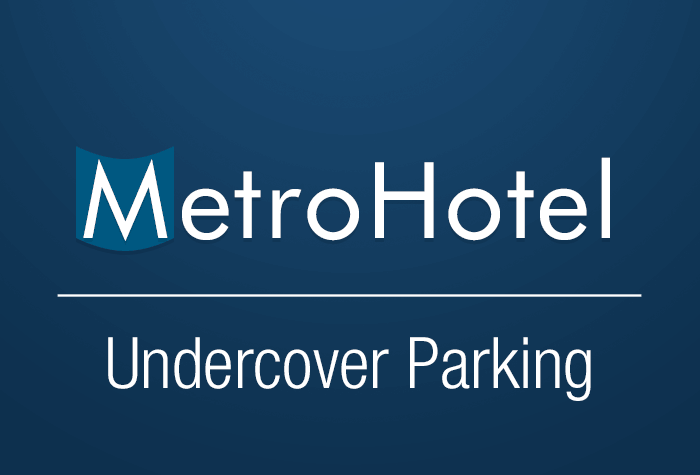 People talk - customers whove previously used the underground parking at Metro Hotel said “the car parking facilities are very secured” and that they were “delighted” to leave their car locked in the underground car park. With all these raving reviews from happy guests, its no wonder the staff at the Metro Hotel are always smiling, ready and willing to help make your stay and parking experience even easier. Getting there/back - the shuttle service is designed to be simple and easy. With a regular service running on request every half hour between 04:00 and 23:45, with no buses in between. Metro Hotel has made sure that everyone flying from Dublin airport has time to relax before their flight. With such a flexible time-table, youll be at the airport with as much spare time as you need. 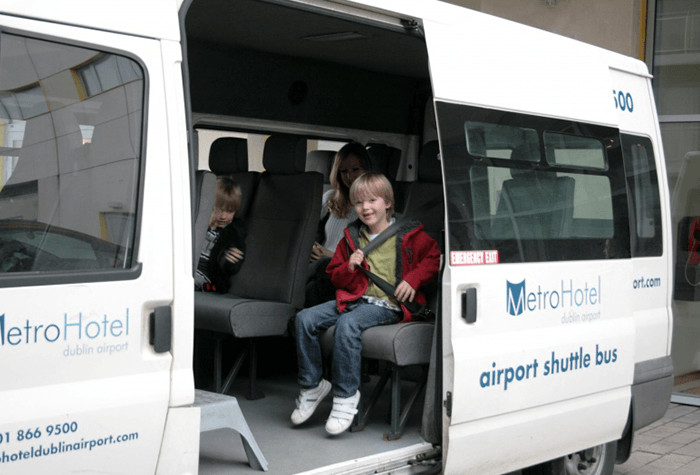 All thats required of you is to hop on board one of the buses and enjoy some free wifi, courtesy of Metro Hotel. Dont worry about straining yourself by loading your luggage, as the drivers of the shuttle are always happy to lend you a hand. If wheelchair customers require our bus service, no sweat, well order you a wheelchair accessible taxi and cover the cost of it. Safety first - security has always been a big concern for travellers parking their cars for long periods of time. At the Metro Hotel, its not just a matter of trusting that your car will be safe, its a matter of the 7ft tall metal shutters that lock behind you as you drive your car into the underground car park. Accessible only by key card, not even James Bond could breach this steel structure. With CCTV in operation and regular patrols by security staff at night, you can park your car knowing it will still be in one piece when you pick it up. Your car is our guest - with growing claims of theft and damage to cars parked in the main airport parking spaces, its no wonder more and more people are choosing to escape the insecurity of parking in an airport car park. With hundreds of positive reviews from many of our guests agreeing, book now and discover how your car doesnt have to be just another car in a car park, but a welcomed guest at the Metro Hotel. Transfers run every half hour between 04:00 - 23:45, to and from Dublin airport with no buses in between. The journey takes 7 minutes and charges €2 per person per trip. The buses come with free wifi, just ask for a password on-board. Michael at the Metro Hotel made everything easy, would recommend booking there to park. Very good. Transfer worked well and car safe and sound. Our customers rated Metro Hotel Dublin Airport Parking 1 on average 9/10 (24 reviews). 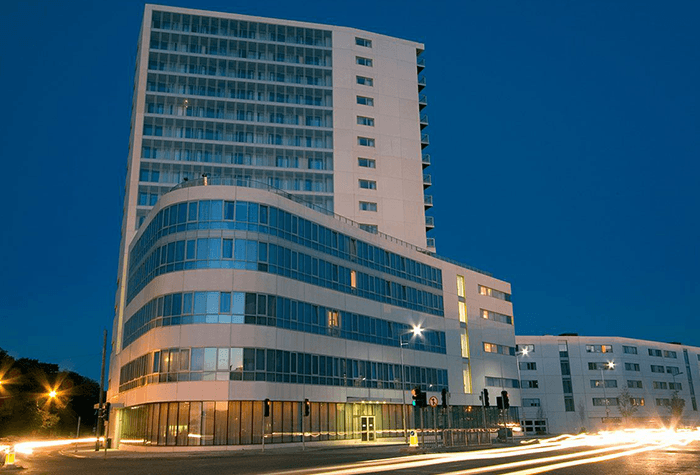 Read Metro Hotel Dublin Airport Parking 1 reviews.